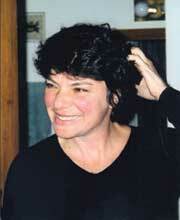 Karen Levine is the author of Hana’s Suitcase, a children’s book published in 2002, based on her prizewinning radio documentary of the same name. Hana’s Suitcase tells the story of two Jewish children living in Czechoslovakia when the Nazis occupied their country in 1939. It follows shool children in contemporary Japan as their teacher helps them solve the mystery of Hana Brady, whose name is painted on a battered suitcase from Auschwitz. Profoundly moving, Levine’s book takes the reader on an incredible journey full of mystery and memories, which come to life through the perspectives of Fumiko, Hana and later Hana’s brother, who now lives in Canada. 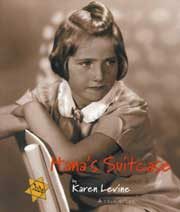 Three years on the Canadian bestseller list, Hana’s Suitcase won the Flora Stieglitz Straus Award for non-fiction and the National Jewish Book Award, and several other Canadian awards for childrens’ literature. It has been translated into numerous languages and published around the world. A full-length documentary on the story, produced by Larry Weinstein, will be screened at the festival, two months before its theatre release in November. Karen is a prizewinning producer with CBC Radio. She worked for many years on CBC programs including As It Happens, The Sunday Edition and This Morning as producer of the “First Person Singular” series. She is the only Canadian to have twice won the prestigious Peabody Award, the Oscar of radio journalism. Karen has also received awards for her work highlighting human rights and social justice issues. Hana’s Suitcase is her first book. Karen lives in Toronto, Canada, with her partner Michael and her son, Gabriel.